1. HAD LONG TALK WITH ELIAS SARKIS LAST EVENING. HE HAD EARLIER EXPRESSED TO 4 OR 5 PEOPLE HIS DEEP PESSIMISM WHICH HAD ONLY HIT HIM YESTERDAY MORNING. HERETOFORE HE HAD BEEN RELATIVELY OPTIMISTIC FOLLOWING FRANGIE AND KARAME STATEMENTS SUBSEQUENT TO COUVE DE MURVILL MISSION. THERE STATEMENTS IT WILL RE- CALLED INDICATED AREAS OF NEGOTIATION AND GIVE-AND-TAKE ON BOTH SIDES. SARKIS HAD BEEN CONVINCED THAT THIS WAS MOST SIGNIFICANT AND VEN SUCH “DISASTERS” AS DEC 6 MASSACRES WOULD NOT IN HIS VIEW ELIMINATE THE POSSIBILITY OF NEGOTIATIONS AT THE VERY TOP. 2. YESTERDAY MORNING, HOWEVER, HE HAD BEEN INFORMED BY A MAN IN WHOM HE HAS TOTAL CONFIDENCE THAT FRANGIE HAS RE- TREATED COMPLETELY FROM HIS MODERATE POSITION AND IS IN A LESS CONCILIATORY MOOD THAN EVER HERETOFORE. ACCORDING TO SARKIS, HE IS NOW CONVINCED THAT PARTITION IS THE ONLY RECOURSE, AND HE AND HIS SON TONY ARE OPENLY ADVOCATING SUCH ACTION– TONY PUBLICLY AND THE PRESIDENT PRIVATELY. THAT CHAMOUN WAS EQUALLY, IF NOT EVEN MORE, INTRANSIGENT. SARKIS DOES NOT RPT NOT CURRENTLY SEE A GROUP OF EFFECTIVE MODERATE MARONITES BEING FORMED AND NOTES THAT THE WEAPONS AND THE DEMAGOGUERY ARE ALL IN THE HANDSIK OF THE LUNATIC ELEMENTS. 4. SARKIS SAID HE IS PROCEEDING JAN 4 TO IMF INTERIM COMMITTEE AT JAMAICA. THIS MEETING WILL TAKE 4 OR 5 DAYS, AND I ASKED HIM IF HE WERE PLANNING TO VISIT WASHINGTON. HE SAID HE HAD NO INTENTION OF SO DOING, AND WHEN I INQUIRED WHETHER HE WOULD DO SO IF II WERE CONSIDERED HELPFUL, HE SAID HE COULD ALWAYS TRY. 5. SARKIS IS DEFINITELY NOT RRPT NOT LOOKING FOR A TRIP TO WASHINGTON. IT HAS, HOWEVER, OCCURED TO ME THAT WE HAVE BEEN RECEIVING A SERIES OF RELATIVE IDIOTS SUCH AS RAYMOND EDDE, CHARLES MALIK, ETC., AND THERE MIGHT BE SOMETHING TO BE GAINED IN MEETING WITH ONE OF THE FEW STILL STABLE AND REATIONAL LEBANESE. AS DEPARTMENT IS AWARE, SARKIS IS DEFINITELY STILL AMONG THE 4 OR 5 LEADING CONDIATES FOR THE PRESIDENCY, AND WHILE HE IS DOING NOTHING TO ADVANCE HIS POSITION, HE IS HIGH ON EVERY POLL. I CANNOT GUARANTEE THAT SARKIS WOULD FIND IT POSSIBLE TO VISIT WASHINGTON, BUT IF DEPARTMENT BE- LIEVES IT MIGHT BE HELPFUL, I THINK THERE IS A 50-50 CHANCE IT COULD BE ARANGED. PLEASE INSTRUCT. 1. WE HAVE BEEN GIVING CAREFUL CONSIDERATION TO YOUR OBSERVATION THAT IT COULD BE HELPFUL TO RECEIVE SARKIS IN WASHINGTON FOLLOWING HIS VISIT TO JAMAICA. WE SHARE YOUR GOOD OPINION OF THE MAN AND, UNDER MOST CIRCUMSTANCES, WOULD LIKE TO ENCOURAGE A WASHINGTON VISIT. OUR VIEWS, HOWEVER, ARE COLORED BY SEVERAL CONSIDERATIONS. 2. WE DO NOT WANT TO APPEAR IN LEBANESE EYES, AT THIS TIME AT LEAST, TO BE TAKING THE INITIATIVE FOR A VISIT BY A POSSIBLE PRESIDENTIAL CANDIDATE. IN ADDITION TO THE USUAL SPECULATION THIS MIGHT GENERATE, THE END RESULT MIGHT BE A POISONOUS KISS TO A MAN WHO OTHERWISE MIGHT BE CONSIDERED A REASONABLE COMPROMISE REPLACEMENT FOR FRANGIE. IF SARKIS HAD, LIKE EDDE, TAKEN THE INITIATIVE, WE WOULD OF COURSE HAVE MADE SUITABLE AND SIMILAR ARRANGEMENTS. 3. ANOTHER CONSIDERATION IS THAT MAJOR US OFFICIALS WHO SHOULD RECEIVE SARKIS ON SUCH VISIT WILL BE HEAVILY ENGAGED IN PREPARATIONS FOR SC DEBATE, ISRAELI VISITORS, AND RE- LATED MATTERS. 4. SINCE SARKIS IS NOT LOOKING FOR SUCH A VISIT, AND SINCE YOU HAVE NOT ENCOURAGED HIM, WE ASSUME YOU WILL HAVE NO PROBLEM IN YOUR SUBSEQUENT CONTACTS. YOU MAY WISH TO TELL SARKIS, HOWEVER, THAT WE HAVE GREATLY VALUED HIS THOUGHTS AND OPINIONS ON THE LEBANESE SITUATION AND TRUST THAT THE TWO OF YOU WILL REMAIN IN FREQUENT CONTACT. 1. MET WITH CENTRAL BANK GOVERNOR ELIAS SARKIS APRIL 3. SARKIS AND RAYMOND EDDE ARE THE TWO LEADERS IN THE PRESIDENTIAL SWEEPSTAKES. SARKIS LOST TO FRANGIE BY ONE VOTE IN 1970. 2. SARKIS RECALLED THAT HE HAD WORKED MANY YEARS FOR FORMER PRESIDENT CHEHUB AND THAT HE FULLY BACKED CHEHAB’S BASIC IDEAS OF CLOSER AND MORE EQUITABLE COOPERATION WITH THE MOSLEMS AND THE NEED FOR SOCIAL REFORM. HOWEVER, HE CONCENTRATED ON THE QUESTION OF SECURITY. IT WAS IMPOSSIBLE FOR ANY CABINET OR ANY NEW PRESIDENT TO CARRY ON IF THERE DID NOT EXIST A SECURITY FORCE. FOR THIS REASON, HE THOUGHT IT WAS ADVISABLE FOR SYRIAN MILITARY INTERVENTION TO TAKE PLACE. GIVEN THE PRESENT CIRCUMSTANCES, IT WAS OBVIOUS THAT A LOT WOULD DEPEND ON PALESTINIAN COOPERATION. 4. ALTHOUGH HE LACKS CHARISMA, SARKIS MAKES A VERY GOOD IMPRESSION. HE OBVIOUSLY HAS A VERY GOOD GRASP OF THE EXISTING POLITICAL REALITIES AND HE HAS THE REPUTATION OF BEING AN EXPERIENCED, FIRST RATE MANAGER. INHERENT IN HIS LONG-TERM TASK OF RESURRECTING LEBANON, BUT ALSO ONES DELIBERATELY POSTPONED FROM THE PRESENT PERIOD. FOR REASONS OF POLITICAL EXPEDIENCY, FOR EXAMPLE, IT IS CONSIDERED BEST TO SWEEP THE ISSUE OF POLITICAL RESTRUCTURING UNDER THE RUG WHILE THE PRESIDENTIAL “CAMPAIGN” GOES ON. THE DIFFICULTY IS THAT SUCH QUESTIONS FALLING ON TOP OF OTHERS MAY GIVE THE PRESIDENT TOO OVER- WHELMING A TASK ALL AT ONCE. THE ISSUES FACING THE NEW PRESIDENT WILL FALL INTO THREE GENERAL AREAS: (A) RESTORING SECURITY AND GOVERNMENT AUTHORITY; (B) POLITICAL REFORMS: (C) RECONSTRUC- TION. 4. RESTORING SECURITY AND GOVERNMENT AUTHORITY: YOU CANNOT BE OPTIMISTIC ABOUT AN EARLY RENEWAL OF LAW AND ORDER AFTER THE COLLAPSE OF AUTHORITY THAT HAS TAKEN PLACE. LEBANON TODAY IS A LAND OF “TURFS” RUN (WHEN RUN AT ALL) BY ARMED GROUPS. THESE ARE OFTEN MUTUALLY HOSTILE. CLASHES CAN ARISE AT THE DROP OF A HAT — ESPECIALLY, BUT NOT EXCLUSIVELY, ACROSS THE CHRISTIAN-MOSLEM DIVIDING LINES. THE SLIGHTEST INCIDENT CAN SPARK A BIG BLOW-UP. PROVOCATEURS OF ONE EXTREME OR THE OTHER ARE ALWAYS READY TO PROVIDE THE SPARK. EXTREMISTS OF THE LEFT AND PALESTINIAN REJECTIONISTS ARE A PARTICULAR MENACE. WHEN ONE ADDS TO THIS THE EASE WITH WHICH OUTSIDE POWERS SUCH AS LIBYA, IRAQ, AND EGYPT CAN STIMULATE INTRANSIGENCE IN VARIOUS GROUPS AND PARTIES, THE DIFFICULTY OF RESTORING EVEN A MINIMUM OF SECURITY IS APPARENT. 5. FOR AN INDEFINITE PERIOD, SYRIA WILL HAVE TO PROVIDE THE COVER FOR THE LEBANESE GOVERNMENT’S RENEWAL. ALONG WITH THIS, DE FACTO PARTITION WILL HAVE TO BE ACCEPTED, AS CHRISTIAN MILITIAS POLICE CHRISTIAN AREAS AND THE DISPARATE AND NOT ALWAYS MUTUALLY FRIENDLY MOSLEMS/LEFTIST/PALESTINIAN GROUPS POLICE THE REST. THE RESTBRED HIGHER MILITARY COMMITTEE PROVIDES THE FRAMEWORK FOR THIS SCHEME; SOMETHING LIKE IT WILL HAVE TO BE CONCOCTED AFTER THE NEW PRESIDENT IS ELECTED. THE OVER-ALL PURPOSE WILL BE TO ELIMINATE THE DE FACTO PARTITION AND THE SYRIAN COVER GRADUALLY, PUTTING IN THEIR PLACE A NEW LEBANESE AUTHORITY. SETBACKS ARE PROBABLY INEVITABLE, BUT HOPEFULLY MANAGEABLE. ANY SIGNIFICANT DOWNTURN IN SECURITY IS APT TO MAKE CHRISTIAN HARDLINERS FREEZE. TAINING INTERNAL SECURITY. POLICE FORCE CANNOT BE RE- ORGANIZED AND GIVEN CAPABILITY OF SUPPRESSING INSURRECTION QUICKLY ENOUGH. POLARIZATION OF THE ARMY HAS INCREASED DURING LATEST ROUND OF FIGHTING, AND ITS RECONSTRUCTION AS A NATIONAL ARMY WOULD TAKE AT LEAST TWO YEARS. HOWEVER, A MOBILE BRIGADE MIGHT BE READY IN 6-12 MONTHS. IN THE INTERIM, AN EXTERNAL MILITARY FORCE WOULD BE REQUIRED TO RESTORE LAW AND ORDER, PENDING DEVELOPMENT OF A NATIONAL CAPABILITY, OR IT MAY BE POSSIBLE TO REACH AGREEMENT ON THE ESTABLISHMENT OF A PROVISIONAL FORCE FROM THE VERIOUS WARRING FACTIONS. THAT ELECTION OF NEW PRESIDENT SHOULD NOT BE COMPLICATED BY SUCH INTRACTABLE ISSUES. 9. THE HOPE IS THAT DEPARTURE OF FRANGIE WILL CLEAR THE AIR POLITICALLY AND ALLOW NEW MAN TO PUSH REFORMS WITH BROAD PUBLIC SUPPORT. THERE IS CERTAINLY BASIS FOR THIS HOPE. MAKING “SCAPEGOAT” OF FRANGIE WILL HELP CLEANSE SYSTEM SYMBOLICALLY OF OLD POLITICAL MENTALITY. HOWEVER, MORE IS INVOLVED THAN JUST PERSONALITIES. WRAPPED UP IN FRANGIE’S 17 POINTS ARE GUT ISSUES INVOLVING STRONG FEELINGS ON ALL SIDES. IT TOOK LABORIOUS NEGOTIATING TO ARRIVE AT 17 POINTS LAST FEBRUARY. ON CHRISTIAN SIDE, THEY EMBODIED “MINIMUM”GUARANTEE OF THEIR POLITICAL FUTURE WHILE GIVING LONG-SOUGHT GAINS TO MOSLEMS. ESTABLISH- MENT-MINDED CHRISTIANS AND MOSLEMS WERE BASICALLY SATISIFED WITH THE ACCORD. JUMBLATT, WHO HAS LONG CONSIDERED POLITICAL REFORM THE SPEARHEAD OF HIS PROGRAM, LATER MADE IT CLEAR HE WAS NOT SATISFIED. HE HAS BEEN A KEY FIGURE IN EROSION OF FRANGIE’S PROGRAM SINCE EARLY MARCH (ALTHOUGH HE GOT UNEXPECTED HELP FROM AHDAB’S COUP AND CANNOT FORGET HIS DEBT TO PALESTINIAN MUSCLE ON BATTLEFIELD). HE WILL CONTINUE TO PUCH FOR REVISION OF THE 17 POINTS. DESPITE THEIR REVERSES IN BATTLE, CHRISTIAN RIGHTISTS WILL STRUGGLE TO PRESERVE AS MUCH AS POSSIBLE OF “GUARANTEE” TO WHICH THEY ADHERE EMOTIONALLY. TRADITIONAL MOSLEMS, IN PART THROUGH WEAKNESS AND IN PART THROUGH SECURITY THEY FEEL THAT DEMANDS WON WILL STICK, MAY SIT ON SIDELINES EXCEPT ON ISSUE OF SECULARIZATION. ALL IN ALL, THE NEW PRESIDENT’S PATH WILL LEAD STRAIGHT THROUGH A POLITICAL MINEFIELD. YET HE CANNOT AVOID CROSSING IT IF HE HOPES TO REACH THE “NEW LEBANON” THAT EVERYBODY DEMANDS. ALSO EMERGED LATER AS A COROLLARY TO THE 17 POINTS. THE LEFT’S ACCEPTANCE OF THE 5 POINTS WAS LESS AMBIGUOUS THAN IT EVER WAS FOR FRANGIE’S PROGRAM. THERE IS ALSO INDICATION THAT IT WOULD ACCEPT THE TRADITION OF A MARONITE PRESIDENT, A SUNNI PREMIER AND A SHIITE SPEAKER FOR THE TIME BEING, ALTHOUGH THIS HAS NOT BEEN MADE TOO CLEAR. BY FOCUSING ON THESE MORE FIRMLY ACCEPTED POINTS, THE NEW PRESIDENT COULD HOPE TO GET POLITICAL NEGOTIATIONS REASONABLY FAR ALONG WITHOUT MISHAP. 11. HIS MAIN PROBLEMS WOULD BE THREE, AS WE SEE IT: (A) THE PARTS OF THE 17 POINTS REPRESENTING COUNTER- CONCESSIONS TO CHRISTIANS; (B) THE EXTENT OF DECON- FESSIONALIZATION IN THE GOVERNMENT; (C) THE FUTURE OF THE PLESTINIANS. THE FIRST OF THESE ISSUES CENTERS ESPECIALLY ON A PROVISION IN FRANGIE’S PROGRAM THAT A TWO-THIRDS OVTE WILL BE NEEDED IN PARLIAMENT ON UNSPECIFIED “IMPORTANT MATTERS” AND THAT A 55-0/0 VOTE WILL BE NEEDED TO ELECT A PRESIDENT ON THE SECOND AND SUBSEQUENT BALLOTS (TWO-THIRDS ALREADY BEING REQUIRED ON THE FIRST BALLOT). THE LEFT HAS OBJECTED TO THE 55-0/0 IDEA. ITS RETENTION SYMBOLIZES FOR CHRISTIANS THEIR FUTURE POLITICAL SAFETY AND WE EXPECT THEY WILL HOTLY CONTEST ITS BEING DROPPED. ON THE DECONFESSIONALIZATION ISSUE, THE 17 POINTS MOVED SIGNIFICANTLY AWAY FROM CONFESSIONALISM BUT KEPT IT FOR POSTS OF DIRECTOR GENERAL LEVEL AND ABOVE. AS FOR THE PALESTINIANS, IT WAS A QUESTION EVEN UNDER THE 17 POINTS HOW FAR THEY WOULD AGREE TO GO BACK TO THE CAIRO AGREEMENT. THIS IS STILL A MAJOR UNKNOWN. (IT IS DIFFICULT TO SEE HOW THE CAIRO AGREEMENT CAN BE OBSERVED IF THE PALESTINIANS HAVE A MAJOR POLICING ROLE, AS IS NOW THE CASE.) IN THESE STRUGGLES, MUCH WILL DEPEND ON THE INTERACTIONS BETWEEN JUMBLATT AND THE EXTREMISTS IN HIS CAMP AND ON THE EVEN MORE TRICKY INTERACTIONS INVOLVING ARAFAT, SAIQA AND THE REJECTIONISTS AMONG THE PALESTINIANS. THE ATTITUDE OF THE “CHRISTIAN REJECTION FRONT” ON THE OTHER SIDE OF THE FENCE MAY ALSO COMPLICATE THINGS. UP IS THE RE-ESTABLISHMENT OF THE DEFUNCT NATIONAL DIALOGUE COMMITTEE, OR SOMETHING RESEMBLING IT. HONORING IT MIGHT MOLLIFY HIM TEMPORARILY AND THEREBY GIVE THE PRESIDENT TIME TO SORT OUT THE ISSUES. THE DIALOGUE TECHNIQUE IS, IN FACT, MORE THAN JUST A GIMMICK. THE COMMITTEE THAT MET LAST AUTUMN PROVIDED A FORUM FOR AIRING SENSITIVE ISSUES, SOMETHING THAT MAY BE EVEN MORE IMPORTANT IN THE WEEKS AND MONTHS AHEAD. THE MAIN PITFALL IS THAT SUCH A GROUP CAN PLAUSIBLY BE SAID TO UNDERMINE PARLIA- MENT’S AUTHORITY. THIS CLAIM WAS MADE ABOUT THE EARLIER COMMITTEE. BUT THIS SHOULD NOT BE AN IMPOSSIBLE OBJECTION TO OVERCOME IN THESE CRITICAL TIMES THAT REQUIRE EXTRA- ORDINARY METHODS. 13. RECONSTRUCTION. THE PUBLIC SECTOR WILL BE OBLIGED TO PLAY AN UNPRECEDENTED ROLE IN THE RECONSTRUCTION OF LEBANON, FIRST BECAUSE OF THE MAGNITUDE OF THE JOB TO BE DONE, SECONDLY BECAUSE THE PRIVATE SECTOR IS NO LONGER PREPARED TO ASSUME ITS TRADITIONAL ROLE OF LEADERSHIP UNTIL CONFIDENCE IS RESTORED. COMPLICATING MATTERS IS THE FACT THAT THE PUBLIC SECTOR IS NOT IN A POSITION TO DO THE JOB. THERE AR ONLY A HANDFUL OF COMPETENT CIVIL SERVANTS. MOST CIVIL SERVANTS ARE BADLY TRAINED AND OWE THEIR JOBS TO POLITICAL PATRONAGE. 14. ONE CAN ENVISAGE THE CREATION OF A SPECIAL OFFICE DIRECTLY UNDER THE PRESIDENT TO PLAN AND COORDINATE THE REBUILDING OF THE COUNTRY. A CONSIDERABLE AMOUNT OF WESTERN KNOW-HOW WILL BE REQUIRED AND LARGE AMOUNTS OF LOW INTEREST, LONG-TERM CREDIT, PRESUMABLY FROM THE ARAB COUNTRIES, PERHAPS $1-2 BILLION AS A STARTER. 15. THE CONCEPT OF WESTERN KNOW-HOW JOINED WITH ARAB CAPITAL LENDS ITSELF WELL TO THE FORMATION OF A CONSORTIUM, THE MEMBERS OF WHICH WOULD OF COURSE HAVE TO BE SELECTED WITHIN THE CONTEXT OF EXISTING POLITICAL REALITIES, WHICH MEANS THE INCLUSION OF SYRIA REGARDLESS OF THE LATTER’S DEARTH OF CAPITAL AND/OR WESTERN KNOW-HOW. EFFORT. ALMOST ALL OF THE COUNTRY’S NOT INCONSIDERABLE TALENT IS FOUND IN THE PRIVATE SECTOR. WHAT IS NEEDED IS AN ADEQUATE SUPPLY OF CREDIT UNDER FAVORABLE TERMS. ALSO NEEDED ARE GUARANTEES, GOVERNMENT GUARANTEES OR INSURANCE THAT THE COST OF THE OFFICE BUILDING RE- BUILT OR THE INVENTORIES REPLENISHED WOULD BE COVERED IF ONCE MORE DESTROYED. GOVERNMENT GUARANTEES ARE OF PARTICULAR IMPORTANCE TO INDUSTRY. NOT ONLY SHOULD LAWS BE PASSED TO GUARANTEE THE FOREIGN INVESTOR, BUT THE LEBANESE INVESTOR AS WELL. 17. INDUSTRIAL DEVELOPMENT AND TOURISM FOR JOINT COOPERATION BETWEEN THE TWO SECTORS. THIS HAS ALREADY EXISTED IN THE CASE OF TOURISM, BUT THE STATE’S ROLE IN PROVIDING THE NECESSARY INFRASTRUCTURE TO ALLOW FOR REAL INDUSTRIAL DEVELOPMENT, AND SEEING TO IT THAT THIS IS NOT ALL CONCENTRATED IN BEIRUT, HAS EXISTED ON PAPER ONLY. 18. WHETHER BEIRUT WILL BECOME ONCE MORE A REGIONAL FINANCIAL CENTER WILL DEPEND NOT ONLY ON SECURITY BUT ON THE CONTINUATION OF A LIBERAL STYLE ECONOMY, THE ABSENCE OF CONTROLS ON CAPITAL MOVEMENTS AND MAINTENANE OF THE BANK SECRECY LAWS. INDEED THE WHOLE RENEWAL OF THE PRIVATE SECTOR COULD ONLY BE ASSUMED IF THE COUNTRY CONTINUES TO FUNCTION UNDER A FREE ENTERPRISE SYSTEM. 19. IN THE PUBLIC SECTOR ROAD CONSTRUCTION AND PORT DEVELOPMENT REQUIRE PRIORITY AS AN AID TO THE PRIVATE SECTOR, BUT THE PUBLIC SECTOR WILL ALSO HAVE PRESSING PRIORITIES OF A SOCIAL NATURE. THESE INCLUDE SUBSIDIZED HOUSING, MORE SCHOOLS, AND AN END TO TAX EVASION ON THE PART OF THE WEALTHY. PUBLIC DEBT IS NEGLIGIVLE. LEBANON’S ABILITY TO CONTRIBUTE TO HELPING ITSELF THEREFORE IS BY NO MEANS INSIGNIFICAN. 21. A MAJOR EFFORT BY THE PUBLIC SECTOR TO RESTORE THE ECONOMY, IT SHOULD BE NOTED, WOULD TEND TO STRENGTHEN THE CENTRAL GOVERNMENT AND WORK AGAINST TRENDS TOWARD PARTITION. 1. AT NOON LOCAL TIME MAY 8, REMAINS UNCERTAIN THAT PRESIDENTIAL ELECTION CAN BE HELD TODAY BUT CHANCES IMPROVING. SOME 64 DEPUTIES, INCLUDING SPEAKER KAMAL ASSAD, NOW REPORTED GATHERED AT VILLA MANSOUR IN MUSEUM ARE–BUT ROADS TO AREA IN WEST BEIRUT REMAIN BLOCKED, AND FIRING IN AUDIBLE IN SOME PARTS OF TOWN. 2. LATEST ALIGNMENT DEVELOPMENT IS DECLARATION OF SUPPORT FOR ELIAS SARKIS BY PARLIAMENT SPEAKER KAMAL ASSAD, ADDING SOME DOZEN OR SO VOTES TOWARD REQUISITE 66 TO ELECT PRESIDENT ON FIRST BALLOT.PHALANGE NOW FEEL IT HAS SUFFICIENT VOTES TO PUT SARKIS IN IF IT CAN GET PEOPLE TO A MEETING, WE UNDERSTAND THAT THE CANDIDACY OF SARKIS HAS ALSO BEEN ENHANCED BY A “NO OBJECTION” POSITION TAKEN BY FATAH.THIS DEVELOPMENT SEEN PARTIALLY AS RESULT OF RECENT MEETINGS BETWEEN ‘ARAFAT AND SYRIAN PRESIDENT HAFIZ AL-ASAD. 3. AS OF LATE LAST NIGHT, THERE WAS “NO RECONCILIA- TION” BETWEEN JUMBLATT AND ASAD, DESPITE ‘ARAFAT’S EFFORTS IN DAMASCUS. THERE IS GROWING FATAH IRRITATION WITH THE LEFT, PARTICULARLY JUMBLATT’S GROUP, OVER BEING “DRAGGED INTO” SITUATION. JUMBLATT IS INCREASINGLY IRRATIONAL ON SUBJECT OF SYRIA AND SEVERAL OF HIS MORE MODERATE AIDES HAVE BECOME DISENCHANTED BY THEIR RECENT INABILITY TO INFLUENCE HIS MOOD AND BEHAVIOR. ADMINISTRATION WITH ROAD TAXES IMPOSED. HOWEVER, THIS MAY BE JUST OSTENTATIOUS DISPLAY OF ELECTION OPPOSITION.IN BEIRUT ROAD TRAFFIC AT STANDSTILL IN MANY AREAS DUE MANY LEFTIST ROADBLOCKS. OF PARTICULAR CONCERN TO EMBASSY IS ROADBLOCK ON CORNICHE AT WHICH SEVERAL CARS HAVE BEEN BURNED SINCE THIS SECTOR BECAME ACTIVE ABOUT 0400 MAY 8 LOCAL. THE PALESTINE LIBERATION ARMY (PLA) REPORTED NOW TRYING TO OPEN CORNICHE BUT HAS NOT RPT NOT USED FORCE THUS FAR. ZTM OVERALL PROGNOSIS GRIM IF ELECTION DOES NOT COME OFF TODAY.MARONITE CIRCLES CONTINUE TO WORRY ABOUT SECURITY SITUATION BEFORE AND AFTER ELECTIONS AND SEEK ASSURANCES THAT U.S. WILL “DO SOMETHING.” THE DIS- APPEARANCE OF CAMILLE CHAMOUN’S NEPHEW STILL CONTRI- BUTING SUBSURFACE TENSION AND WE UNDERSTAND FATAH BELIEVES CHAMOUN DEAD BUT FEAR SAY SO LEAST LARGE SCALE CHRISTIAN REPRISALS. 6. EMBASSY IS TEMPORARILY PROHIBITING OFFICIALS FROM USE BEIRUT INTERNATIONAL AIRPORT. AIRPORT IS STILL OPERATIONAL,BUT ROAD TO AND FROM CITY VERY RISKY AT THIS TIME. CENTRAL BANK GOVERNOR ELIAS SARKIS WAS ELECTED 8 MAY PRESIDENT OF LEBANON. ON FIRST BALLOT, SARKIS RECEIVED 63 RPT 63 VOTES OF 69 RPT 69 DEPUTIES PRESENT AND VOTING. ON SECOND BALLOT, HOWEVER, HE RECEIVED 66 RPT 66 WHICH IS TWO-THIRDS OF ENTIRE CHAMBER. IN MEANTIME, WE HAVE SCATTERED REPORTS OF FIRING IN RAOUCHE AREA BETWEEN ELEMENTS OF SYRIAN-SPONSORED SA’IQA AND SUPPORTERS OF “PROGRESSIVE” LEADER KAMAL JUMBLATT. 1. SUMMARY: TWO QUADRIPARTITE MEETINGS AT CHTAURA HAVE FAILED. NEXT MEETING SCHEDULED FOR SEPT. 24, DAY AFTER SARKIS’ EXPECTED INAUGURATION. PALESTINIANS MAY BE UNWILLING TO COMPROMISE UNTIL ASSURED THAT SARKIS HAS IN FACT BECOME PRESIDENT, OR THEY MAY BE FUNDAMENTALLY UNWILLING MAKE UNILATERAL CONCESSIONS DEMANDED BY SYRIANS. IF NEITHER SIDE IS WILLING TO COMPROMISE, LIKELIHOOD THAT FIGHTING WILL ESCALATE IS MEASURABLY INCREASED. END SUMMARY. JAMIL, AND ARAB LEAGUE DEPUTY SECRETARY-GENERAL HASSAN SABRI AL-KHOLI WAS, BY ALL ACCOUNTS, DISTINCT FAILURE. THE KEY ISSUE WAS AGAIN THE WITHDRAWAL OF THE PALESTINIANS/LEFTISTS FROM THEIR MOUNTAIN STRONGHOLDS IN THE HIGH METN. THE PALESTINIANS REPORTEDLY SAID THEY ARE READY TO WITHDRAW FROM THESE POSITIONS, BUT ONLY AS PART OF A COMPREHENSIVE AGREEMENT. AL-MUHARRIR SEPT. 19 PUT IT AS FOLLOWS: “THE RESISTANCE IS READY TO WITHDRAW FROM THE MOUNTAINS IN EXCHANGE FOR STRATEGIC WITHDRAWAL BY THE OTHER SIDES IN SUCH A MANNER THAT THE MILITARY BALANCE WILL BE MAINTAINED.” THE SYRIANS, APPARENTLY SUPPORTED BY SARKIS, CONTAINUED TO INSIST THAT PALESTINIAN/LEFTIST WITHDRAWAL MUST PRECEDE ANY DISCUSSION OF AN OVERALL CEASE-FIRE OR A SYRIAN PULLBACK. ON THE CAIRO ACCORDS, ARAFAT REPORTEDLY STATED THAT THE PLO IS READY TO FACILITATE SARKIS’S MISSION BY IMPLEMENTING THIS AGREEMENT, BUT WENT ON TO CALL FOR THE RETURN OF REFUGEES TO TEEL ZAATAR, NABAA AND THE KOURA. THE MEETING BROKE UP AFTER TWO HOURS OF FRUITLESS DISCUSSION, WITH THE PARTICIPANTS AGREEING TO MEET AGAIN ON SEPT. 24, THE DAY AFTER SARKIS IS SCHEDULED TO BE SWORN IN AS PRESIDENT. 3. THE FAILURE OF THE CHTAURA MEETING HAS CAST A PALL OF GLOOM OVER ALL BUT THE MOST OPTIMISTIC. GENERAL JAMIL COMMENTED, “WE DID NOT ACHIEVE A COMMON VIEWPOINT,” AND ADDED OMINOUSLY, “MEETINGS ARE NO LONGER NECESSARY.” PRESIDENT-ELECT SARKIS DECLINED COMMENT, AS IS HIS WONT, AND ARAFAT WAS ALSO SILENT. EVEN THE ETERNAL OPTIMIST (IN PUBLIC), AL REP AL-KHOLI, COULD ONLY SAY THAT MEETINGS WILL CONTINUE, BECAUSE OF THE IMPORTANCE OF THE SUBJECT. OF CHAMOUN’S “TIGER” MILITIA. CHAMOUN HAS ALREADY DECLARED THAT THIS SESSION MUST TAKE PLACE FOR SARKIS TO ASSUME OFFICE LEGALLY; HE MAY WELL USE HIS POWER TO EXTRACT CONCESSIONS FROM SYRIA AND/OR SARKIS IN EXCHANGE FOR NOT DISRUPTING THE CEREMONY. 5. SYRIA CONTINUES TO HOLD THE POSITION THAT ITS MILITARY PRESENCE IS NOT NEGOTIABLE BECAUSE IT IS NOT PART OF THE PROBLEM BUT OF THE SOLUTION. GEN. JAMIL’S REMARK THAT FURTHER MEETINGS UNNECESSARY SUGGESTS THAT SYRIA MAY BE RECONSIDERING THE MILITARY OPTION, BUT WE DOUBT SYRIA WILL MAKE ANY DRAMATIC MOVE BEFORE SARKIS’S INAUGURATION, WHICH THEY HAVE CONSISTENTLY SUPPORTED. IF SARKIS TAKES OFFICE WITHOUT INCIDENT, HE WILL GO INTO SEPT. 24 MEETING WITH THE FULL AUTHORITY OF HIS NEW OFFICE, AND MAY BE IN BETTER POSITION TO CONTROL EXTREMIST CHRISTIAN ELEMENTS AND TO ARRANGE COMPROMISE BETWEEN PLO AND SYRIA. UNDER THESE CONDITIONS, SYRIA MIGHT SEND A HIGHEER-LEVEL REPRESENTATIVE, PREPARED TO MAKE A UNILATERAL GESTURE OF SUPPORT FOR THE NEW PRESIDENT. THERE ARE ALSO RUMORS THAT HIS PRESIDENTIAL ADDRESS WILL OFFER “NEW DEAL” TO ALL LEBANESE AND MAY HELP PROMOTE A LEBANESE-LEBANESE DIALOGUE. POT CONTINUES TO BOIL, BUT WHAT KIND OF STEW WILL EMERGE IS UNCLEAR. WHAT HAS TO HAPPEN FOR ELIAS SARKIS TO BECOME PRESIDENT OF LEBANON? 1. SUMMARY. OPINIONS ON WHAT JUDICIAL ACT IS NECESSARY FOR ELIAS SARKIS TO ASSUME OFFICE AS PRESIDENT SEP 23 VARY FROM NOTHING AT ALL TO OATH-TAKING BEFORE FULL SESSION OF PARLIAMENT IN BEIRUT. CAMILLE CHAMOUN IS THE MOST VOCAL SUPPORTER OF THIS LATTER INTERPRETATION AND STANDS TO GAIN THE MOST IF IT IS NOT FULFILLED. END SUMMARY. RECENT WEEKS IN BEIRUT, AS FOLLOWS: A. AUTOMATIC ASSUMPTION OF OFFICE ON SEP 23, REGARDLESS OF WHETHER OR NOT HE TAKES OATH OF OFFICE AT THAT TIME. HE WOULD, HOWEVER, HAVE TO TAKE OATH BEFORE PARLIAMENT SOON THEREAFTER. THIS VIEW APPEARS TO BE HELD BY PHALANGISTS AS WELL AS BY MOST ELEMENTS OF PALESTINIAN/ LEFTIST ALLIANCE. B. OATH IS ESSENTIAL, BUT CAN BE TAKEN ANYWHERE. THIS VIEW WAS WIDELY DISCUSSED IN BEIRUT SEVERAL WEEKS AGO. THEORY WAS THAT TAKING OF OATH WAS ESSENTIAL CONCIMITANT OF LEGAL ASSUMPTION OF POWERS BUT THAT VALIDITY OF OATH WOULD NOT BE AFFECTED IF IT WERE TAKEN OUTSIDE OF PARLIAMENTARY FORUM PRESCRIBED BY CONSTITUTION. ACCORDING TO THIS THEORY, OATH COULD BE TAKEN BEFORE ANY COMPETENT MAGISTRATE, SUCH AS OUTGOING PRESIDENT. C. OATH IS ESSENTIAL, BUT IF PARLIAMENT ITSELF CANNOT CONVENE, OATH MUST BE TAKEN BEFORE AT LEAST AN ADEQUATE REPRESENTATION OF PARLIAMENT, SUCH AS THE PRESIDENT OF THE PARLIAMENT (CURRENTLY KAMEL EL-ASSAD) OR THE PARLIAMENTARY ORGANIZING COMMITTEE. THIS IS VIEW OF LEGAL EXPERT PROFESSOR GEORGES VEDEL, WHICH WAS PRESENTED IN SEP 21 MEETING OF PARLIAMENTARY ORGANIZING COMMITTEE. IN THIS CASE, PROFESSOR VEDEL SAYS, MINUTES OF THE SESSION MUST BE RECORDED, SUBMITTED TO PARLIAMENT AT EARLIEST OPPORTUNITY, AND APPROVED BY PARLIAMENT. THIS APPEARS TO BE EMERGING VIEW OF PARLIAMENTARY LEADERS. D. OATH MUST BE TAKEN BEFORE SESSION OF FULL PARLIAMENT, WITH QUORUM, BUT SESSION NEED NOT TAKE PLACE IN BEIRUT. CONSTITUTION SAYS PARLIAMENT SITS IN BEIRUT, BUT PRECEDENTS BOTH IN LEBANON AND ABROAD (PRINCIPALLY FRANCE, 1940) HAVE BEEN CITED TO JUSTIFY HOLDING SESSIONS ELSEWHERE FOR EXTRAORDINARY REASONS. THIS VIEW IS SUPPORTED BY THOSE, INCLUDING SYRIAN LEADERSHIP, WHO HAVE ADVOCATED HOLDING OF INAUGURAL SESSION AT SOFAR OR CHTAURA. E. OATH MUST BE TAKEN BEFORE SESSION OF FULL PARLIAMENT, WITH QUORUM, IN BEIRUT. THIS IS MOST RIGOROUS INTERPRETATION OF CONSTITUTIONAL PROVISIONS AND PRECEDENTS. OBVIOUS CORROLLARY IS THAT, IF SESSION CANNOT TAKE PLACE, SARKIS DOES NOT BECOME PRESIDENT. MOST OUTSPOKEN ADVOCATE OF THIS VIEW IS CAMILLE CHAMOUN. 3. COMMENT: IF THE STRICT INTERPRETATION OF THE CONSTITUTION CANNOT BE FULFILLED, THE MAN WHO STANDS TO GGAIN THE MOST IS CAMILLE CHAMOUN. Q ACTING PRIME MINISTER HE WOULD BE LEGALLY ENTITLED TO ASSUME POWER AS ACTING HEAD OF STATE, AND HE MAY HAVE LEFT THE COUNCIL OF MINISTERS IN OPEN SESSION DURING ITS SEP 20 MEETING PRECISELY TO FACILITATE THIS MOVE. QUARRELLING AMONG VARIOUS CHRISTIAN ARMED GROUPS (SITREPS SEP 20, 21) MAY REFLECT JOCKEYING FOR BEST POSITION ON GROUND SHOULD CHAMOUN INDEED SEEK TO ESTABLISH HIMSELF AS SUPREME POWER OF WHAT IS LEFT OF LEBANESE STATE BEGINNING SEP 23. 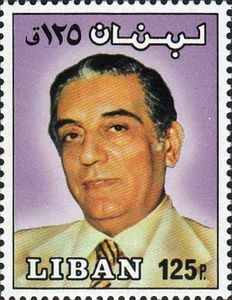 ACCORDING TO LOCAL RADIO, ELIAS SARKIS MET WITH FRANGIE AT ZOUK AT 1000 LOCAL TIME AND ASSUMED OFFICE AS PRESIDENT OF LEBANON (“PASSATION DES POUVOIRS”). SAME SOURCE STATES SARKIS AND FRANGIE THEN PROCEDED TO CHTAURA WHERE SARKIS TOOK OATH OF OFFICE AT 1315, SEP 23, BEFORE APPROXIMATELY 65 MEMBERS OF LEBANESE PARLIAMENT. ALTHOUGH A NUMBER OF DEPUTIES DID NOT ATTEND THE SWEARING-IN, THEIR PRIMARY OBJECTION, AS EXPRESSED IN NEWSPAPERS SEP 23, IS NOT TO SARKIS, BUT TO FACT THAT CEREMONY TOOK PLACE AT CHTAURA, WHICH THEY CONSIDER TO BE UNDER SYRIAN OCCUPATION. THERE ARE REPORTS FROM CHRISTIAN-RIGHTIST RADIO LIMITED OFFICIAL USE LIMITED OFFICIAL USE PAGE 02 BEIRUT 07625 231131Z THAT SOME DEPUTIES FROM WEST BEIRUT SEEKING TO ATTEND THE CEREMONY IN CHTAURA WERE HELD UP BY ROADBLOCKS BETWEEN ALEY AND BHAMDAIN, IN PALESTINIAN/LEFTIST CONTROLLED TERRITORY.